Best rugged compacts camera of 2015 – Read the guide below to find out the best rugged camera of 2014. 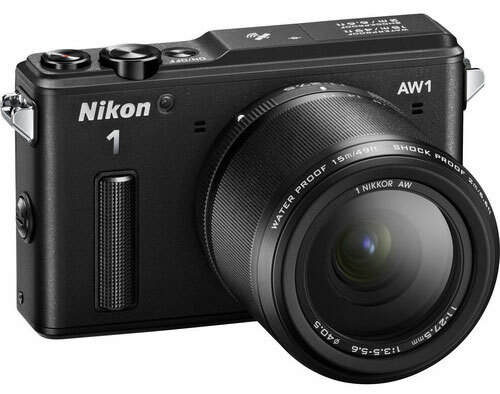 Nikon 1 AW1: it features a 14.2MP CX-format sensor and an EXPEED 3A image processor that works in collaboration to deliver high quality images and videos that offer rich color detailing. The camera performs well even in the low lightning conditions with its ISO range of 100-6400. The camera is designed in such a way that it eradicates the use of optical low pass filter in order to deliver excellently clear and sharp images. The camera also features a hybrid AF system that uses both contrast detect and phase detect method for acquiring fast and accurate AF over the subject. It comes with 1 NIKKOR AW 11-27.5mm f/3.5-5.6 lens that is built with one aspherical element and one extra-low dispersion element that enhances the image quality and reduces various aberrations throughout the zoom range. The camera is able to capture full HD 1080p videos @60&30fps, several others resolution and frame rates are also featured. The camera body is built with highly durable material that makes the camera ideal for shooting in tough situations. Additionally the camera is resistant to weather and water that allows the user to take some beautiful underwater shots and videos without any problem. The TG-5 is one of the best and world most toughest camera available for you. The camera can record 4K videos, features 12MP BSI CMOS low-light senstive Sensor and TruePic VIII Processor for excellent low-light performance. The Good: Shoot 4K, better low light performance compared to previous generation of TG series camera. Fujifilm XP120 is new and features excellent core specification under budget. 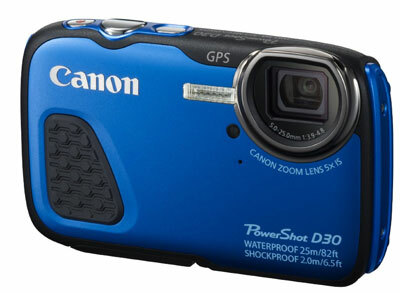 The camera features 16MP sensor camera can record high-resolution stills at up to 10 fps and Full HD 1080p video @ 60fps. The camera can wirelessly transfer your images to your phone. The camera app also allow to to do remote shooting with the XP120 camera. Canon D30: The camera features 12.1” CMOS sensor and a DIGIC $ image processor that work together to deliver high quality images and full HD 1080p videos. The processor provides a fast processing speed to the entire camera body. The low light performance of the camera is also good and it supports 5x optical zoom that allows the user to shoot far located objects. On the rear side it comes with a LCD monitor for live time monitoring and playback of images and videos. for connectivity it supports GPS. The camera’s body is tough and is resistant to water that allows the user to capture beautiful underwater images and videos.